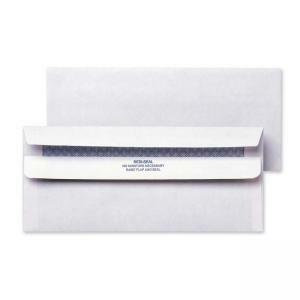 Security Tinted Business Envelopes require no moisture to seal because of Redi-Seal. Raise the lower flap and press. The unique double-flap design keeps the gum from sticking until you are ready to mail it. Inside tint enhances security for contents. No. 10 envelopes are made of a white wove material. 24 lb.